David Chukwuma Ojei was born on 28th Day of February 1971 in Agbor Delta State Nigeria. He graduated with BSc. Accountancy Second class upper Division from University of Nigeria in 1995. After he failed aptitude test to join the following Banks; Zenith Bank, GTB and FBN Merchant Bankers, he took up employment with a security company where he was paid a monthly income of N7000=.from which was able to make some savings to set up a barbers shop that was equally fetching an income of N7000= monthly. He resigned from his job in June 1998 when his Mother had a need of N100,000= and his Sister a school dropout who is into trading brought her own contribution of N50,000=00 immediately and himself with his Degree could not meet up. He took a decision then to go into trading while the Barbers shop was still fetching him some income. He closed Barber’s shop, much more later after he started his Supermarket business. His first line of business after resignation from The Security Company was to travel from Lagos to Fuga in Edo state to buy Ogbono seed and resell in Lagos. The business stopped when his supplier in Fuga made way with his Money. After the loss of his capital in the Ogbono business, he went to understudy his Uncle Sunday Egede who was already trading on provisions for a period of 3 months before he set up his first shop in 1999 in Shomolu Lagos State and few months later he opened a bigger shop about 3 times the size of the first shop within the same locality when he started trading with the name Ebeano Supermarket. 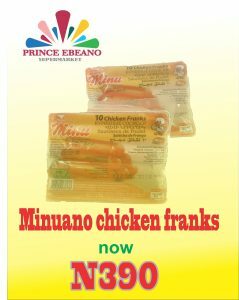 The shop grew rapidly and he opened a bigger shop in Gbagada soon after he eventually opened his breakthrough Ebeano Supermaket Ikota VGC Lagos that bought so much innovations in Retail business in Lekki axis of Lagos. David is very creative and his business model is now being copied by even the multinational retail stores in Lagos. He is always thinking of new ideas to introduce to his line of business and God has been faithfully in giving him those innovations. One of his Managers has this to say about David “David values integrity so much that he will call off transactions if integrity is breached irrespective of the cost implication. He is a devout Christian and is happily married with 4 Children. He has his trust in God that raised him from nothing and is willing to give back to the society.